Win: Cadbury’s bestseller, the Dairy Milk Bar, is now fairly traded. The packaged cocoa is also certified fair trade. This change means the cocoa beans were not picked using slave labor. This change means that very small children were not exposed to pesticides or forced to perform dangerous tasks. This change means that workers received a fair wage. 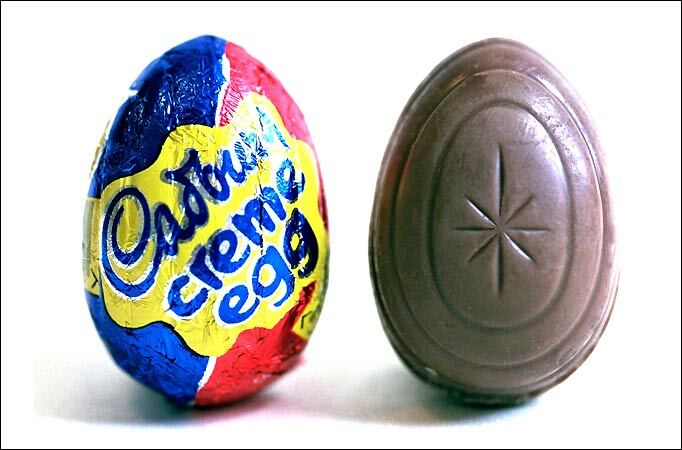 Fail: Everything else made by Cadbury is not fairly traded. Yes, that includes the famous egg. Remember my post asking why we can have dolphin-safe tuna but we can’t have slave-free chocolate? Learn more about slave-free products and stay mindful as you prepare Easter goodies. Posted in Food, Social Justice and tagged cadbury, fair-trade chocolate. Bookmark the permalink. Darn it! I love those eggs!